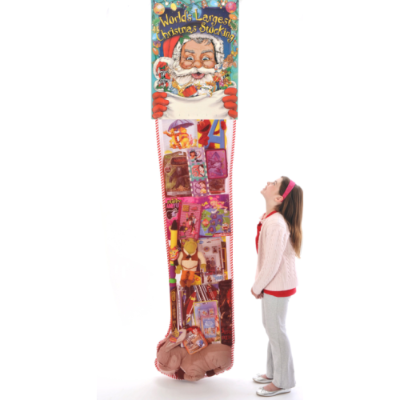 Stuffed with today’s hottest name brand toys and games! Approximately 60% Licensed and Name Brand Toys. Includes raffle items: ceiling kit, entry blanks, raffle box and poster. Current Sample Toy List Included With Stocking. 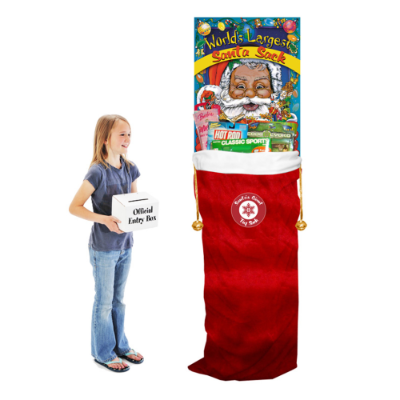 Be the first to review “Giant Santa Sack With Toys” Click here to cancel reply. I'm a fuzzy holiday blogging junkie. I spend my days hanging out with elves and roaming the toy shop writing valuable information about the greatest holiday of them all -- Christmas! 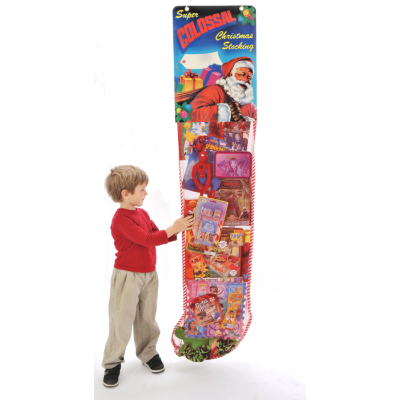 © 2019 ChristmasStocking.com. All Rights Reserved.